The St. Petersburg Free Clinic gives the Sustainable Farm scraps for composting which the farm uses to grows vegetables for the clinic. PINELLAS PARK, Fla. — A unique new friendship in the Tamap Bay area is helping feed thousands of people in need. 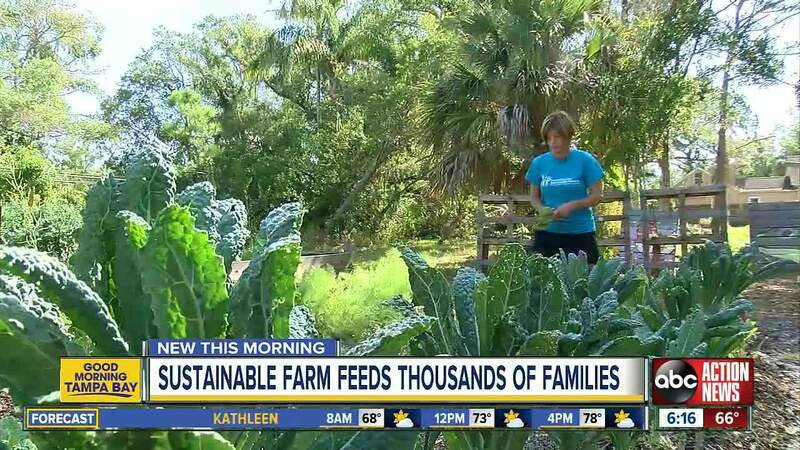 The Sustainable Family Farm in Pinellas Park grows organic carrots, kale and tomatoes for hundreds of hungry families at the St. Petersburg Free Clinic. The scraps from those vegetables and healthy meals at the clinic then goes back to the Sustainable Family Farm for composting and to create fertilizer. It is a sweet simple symbiotic relationship that is helping everyone involved.